Grass Roots was an event organised for postgraduate students from Chelsea, Camberwell and Wimbledon. The two day site specific project was based at Crystal Palace on subjects around being and making. 1. Where did they acquire it? 2. What do they like about it? 3. How do they care for it? The workshop was really engaging and I loved hearing every ones fashion stories. Some pieces of clothing were mended, some were found and reclaimed, others represented special memories… Everyone really cared about each item they talked about and would seek ways to “make do and mend” if they had the know how. 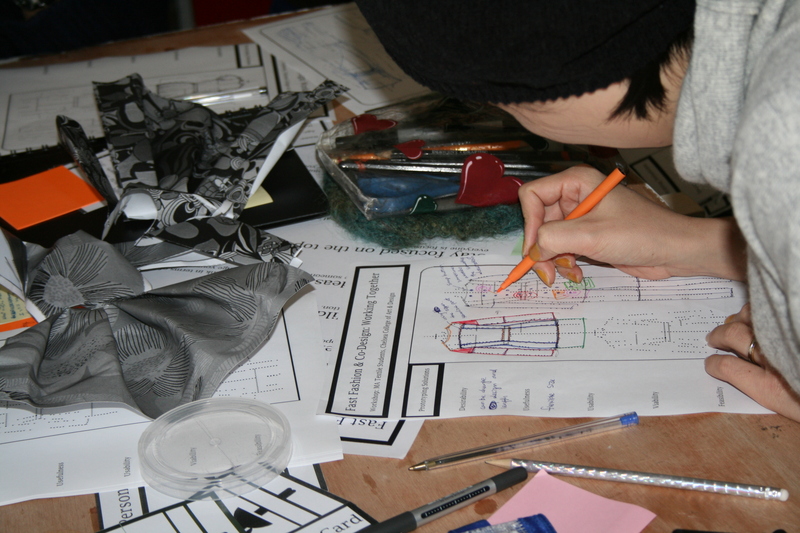 The event hosted a whole range of workshops and activities around climate change through being and making. We picked herbs and flowers within Crystal Palace and then brewed our own tea with a little help and guidance from the Tea Bike… The day closed with a chat from a speaker from Climate Camp who talked about lots of different ways to get involved. 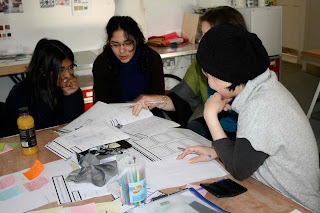 I recently attended a “Slow Textiles” workshop by Dr Emma Neuberg. I arrived with an embroidery hoop in hand at a lovely studio space in West London. Emma introduced Chinese Floral Embroidery and showed us some images to introduce the theme and provide inspiration. An intro to the historical context gave me a greater sense of purpose and I began to associate a deeper symbolic association with the craft and process. After being introduced to satin stitch I attempted to apply the technique to upcycle some fabric. It was great being in a nurturedenvironment to sew collectively. There was lots of discussion around slow textiles, symbolism and sustainable thinking. All participants were encouraged to bring a garment or piece of cloth with them for discussion and I really enjoyed this part. Some vintage clothing was used and each piece had a story or detail which reflected something special. I left feeling inspired and continued to sew all weekend. I loved working within a shared space and it sparks all kinds of conversations. I think this is a great way to share knowledge, skills and expertise in an interactive way. 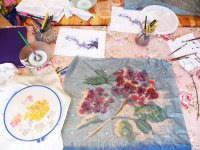 Dr Neuger will be hosted a series of new workshops and forming “The Slow Textiles Group” visit her blog for more info. will be continuing a series of workshops and forming the slow textile group, visit her blog for more information.